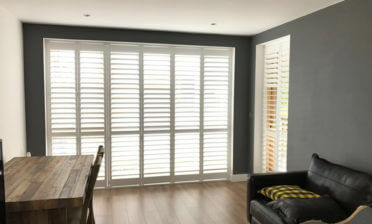 Mike was in Tilbury to install these café style shutters to a bay window in the living room of our client Rob’s house. 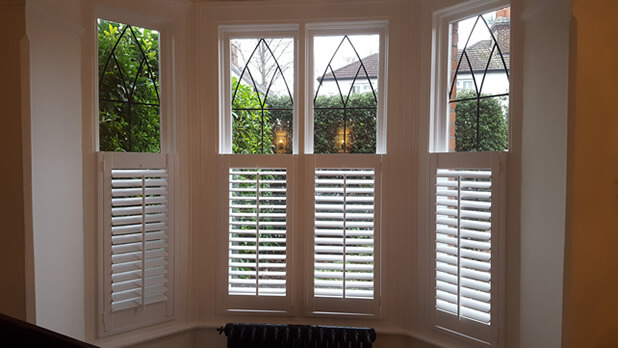 Café style shutters look great on bay windows, creating an elegant yet practical solution for area like living rooms where some degree of privacy is needed but lighting is also very important. These shutters were designed to fill exactly half the window area, match the lining of the windows behind and also showing the top interesting design on the top level of the windows. The shutters can be opened for full access to the windows behind and adjusted to create the right mixture of privacy and lighting throughout the day. We created the shutters using MDF from our Antigua Range which is a durable and easy to maintain solution and a cost effective option compared to out hardwoods. 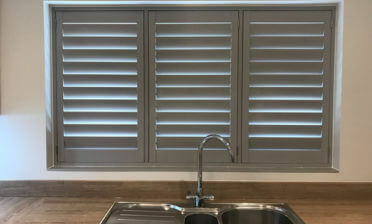 The shutters feature 63mm louvres to aid with privacy and centralised tilt rods which create the more traditional look that Rob was looking for. 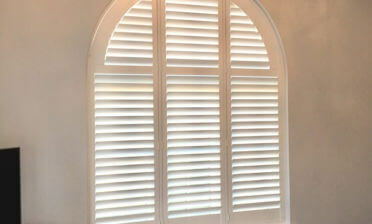 We finished the shutters in pure white paint with matching hinges. We finished the shutters in pure white paint with matching hinges.